Cheval Thorney Court has that classic English deco everybody loves! London is one of the best cities in the world. We have parks, museums, shopping, awesome restaurants, a royal baby... But there's only one thing we don't have: the small village feel. Yeah, that's impossible. For a weekend away, but not too far that you would miss London (it only takes a couple of days for that nostalgic feeling to kick in): the County of Yorkshire. A little under 4 hours from London and the perfect getaway, industry experts named the county of Yorkshire – the largest in England — the best destination on the continent at the World Travel Awards in Antalya, Turkey last week. While it’s been forever immortalized in English literature as a tertiary character in Emily Bronte’s 19th century classic “Wuthering Heights,” today the region has carved out a reputation as being a gastronomic destination with six Michelin-starred restaurants in the county. Last year, the North York Moors National Park, home to prehistoric remains, villages, abbeys, and dramatic coastal cliffs celebrated its 60th anniversary. 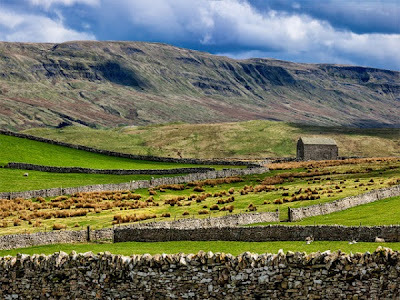 The Yorkshire Dales National Park is also known for its moody, windswept moors, limestone crags and labyrinthine caves, while the Peak District National Park likewise offers ever-changing landscapes of rugged uplands, gentle limestone hills and heather peat-covered moorlands. Other major attractions in the area include Harrogate’s Turkish Bath and Health Spa, one of seven remaining, 19th century Turkish baths in the UK, and Meadowhall in Sheffield, Europe’s largest shopping and leisure complex which attracts more than 400,000 shoppers every day. The landscaped 18th-century gardens of Studley Royal Park and the ruins of Cistercian Fountains Abbey, as well as the preserved Victorian village of Saltaire are also UNESCO World Heritage Sites.